The Side Piece Slim by Purge mods is series box mod that packs one hell of a punch. The Side Piece Slim follows on from it’s predecessor, the Side Piece and is a dual 18650 series mechanical device. 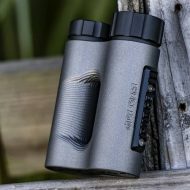 The Side Piece Slim is a side firing, constant contact mod and has a fire button is made of ultem, fixed onto the body of the mod. One battery sit’s in a copper cup which is then housed in a black ultem cup and has a turnable switch to lock or unlock. It can accommodate 18650 batteries only. 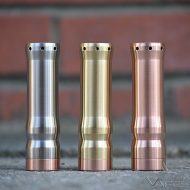 The Slim Piece is a side firing mod and is 26mm in diameter and has a fire button is made of ultem, fixed onto the body of the mod. The battery sit’s in a copper cup which is then housed in the ultem button housing and It can accommodate 18650 batteries only. 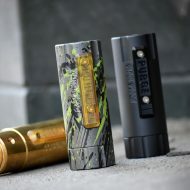 The Slim Piece Setup by Purge Mods is one heavy hitting mod. Seriously! An even smaller, palm size, constant contact device! The Slim piece setup is all murdered out, with a black ultem button housing, matching black ultem carnage cap and the latest version of the carnage deck, the V.15 which has the bottom lip milled off so all carnage slam caps now fit flush. The Slam Piece Cobra LE by Purge Mods is one heavy hitting mod. Seriously! A palm size, constant contact device that will have you chucking clouds for days on end. 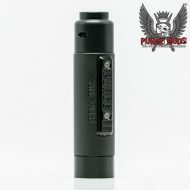 The Slam Piece is a side firing mod and is 30mm in diameter and has a fire button is made of ultem, fixed onto the body of the mod. The battery sit’s in a copper cup which is then housed in a black ultem cup and has a turnable switch to lock or unlock. It can accommodate 21700/20700/20650 and 18650 batteries. 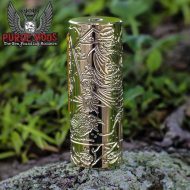 The Slim Piece by Purge Mods is one heavy hitting mod. Seriously! An even smaller, palm size, constant contact device than it’s predecessor, the Slam Piece, that will have you chucking clouds for days on end. 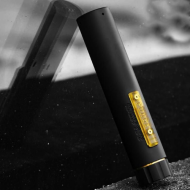 The Slim Piece is a side firing mod and is 26mm in diameter and has a fire button is made of ultem, fixed onto the body of the mod. The battery sit’s in a copper cup which is then housed in a ultem button housing It can accommodate 18650 batteries only. 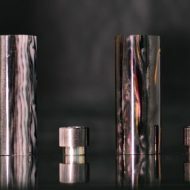 The Stacked Piece by Purge Mods is one heavy hitting mod. Seriously! And double the power this time round with it’s series, stacked design. 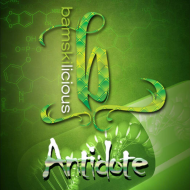 The mod features constant contact button that will have you chucking clouds for days on end. 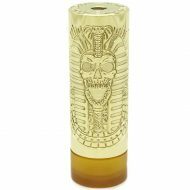 The Stacked Piece is a side firing mod and is 30mm in diameter and has a fire button which is made of ultem, fixed onto the body of the mod. 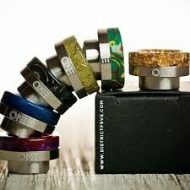 The battery sit’s in a copper cup which is then housed in a black ultem cup and has a turnable switch to lock or unlock. It can accommodate 21700 / 20700 batteries only. Only 500 LE Slam Piece ft Hagermann Engravings. The Slam Piece by Purge Mods is one heavy hitting mod. Seriously! A palm size, constant contact device that will have you chucking clouds for days on end. 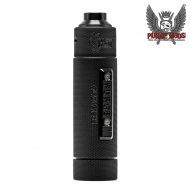 The Slam Piece is a side firing mod and is 30mm in diameter and has a fire button is made of ultem, fixed onto the body of the mod. 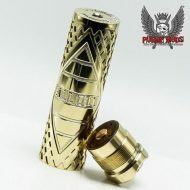 The battery sit’s in a copper cup which is then housed in a black ultem cup and has a turnable switch to lock or unlock. 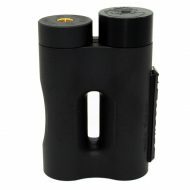 It can accommodate 21700/20700/20650 and 18650 batteries.